I will apologize up front for the general lack of documentation in the this post. I’ve been doing a lot of reading on scribes, writing, and literacy in ancient Israel (and its ancient Near Eastern context) and wanted to hammer out some thoughts that have been jumbling around in my head. Something more refined (with sources cited) will be coming later as part of a larger work. If there is one thing we know about Lehi and Nephi, it’s that they could read and write. Nephi, we know, could write very well. 1 and 2 Nephi is an impressively crafted text which accomplishes various narrative goals whilst employing a variety of literary conventions and all kinds of subtle allusions. It is, in a word, brilliant. Whether Lehi was such a skilled writer, we don’t know. We lack any samples of his direct writing, but we know he read and wrote because Nephi tells us about it. And Nephi’s own learning came from Lehi, but did his own skill and learning exceed Lehi’s? We don’t know (but as assumed below, I think it did…). I’ve found each of these books to be quite interesting, and I (unsurprisingly) found things I agreed with and things I disagreed with in each of these works. I was particularly interested in what these scholars thought about who could read and write in ancient Israel. My reason for this is that hints in the text suggest that Lehi and Nephi were skilled smelters, and a number of scholars have made that argument. But would an ancient Israelite smelter have the skills of reading, writing, and scribal art? Well, I found a few intriguing hints. First, although there is some debate, sufficient evidence suggests that literacy in Israel had become wide spread by the 7th (and some would even say the 8th) century BC. Exactly how widespread, and what it really means to be “literate” remain topics of some debate, but there is general agreement that the basic skills of reading and writing had expanded beyond a trained scribal class. Second, artisans (or craftsmen)—such as smelters—are thought to be among those who could read and write. Of course, no one would simply assume that all craftsmen during this time were literate, nor would they think an artisan would have the same literary proficiency as a fully trained scribe. Yet it nonetheless remains true that some craftsmen, including smelters, had some ability to read and write. Third, some kind of crossover skill set between scribes and specific trades was necessary. Inscriptions on stone necessarily required both an ability to write, and an ability to work with stone. Inscriptions on pottery vessels necessarily required both an ability to write, and an ability to work with pottery. And, of course, inscriptions in metal necessarily required both an ability to write, and an ability to work with metals. Whether it was potters, masons, and smelters who knew how to write, or scribes who learned to work with pottery, stone, and metal, there was inherent crossover in the skill sets of scribes and certain tradesmen—smelters (metalworkers) among them. In fact (fourth), some of the earliest evidence of alphabetic writing and scribal education in Israel comes from journeymen metalworkers in the late second millennium BC. To be sure, their inscriptions are basic (though could be somewhat lengthy), and their education primitive. As writing grew more complex, eventually being a scribe would become a craft all its own, but at its inception, being a scribe in Israel was intimately connected to being a smelter. Fifth, in Mesopotamia (and presumably Israel), some trained professionally as scribes went into other professions, or only worked as scribes part-time while working another profession as well. Granted, for the most part these other professions were bureaucratic or administrative in nature, but it is possible some couldn’t find such work and had to settle for some other type of trade. I imagine a scribe in a remote village, for instance, might not get frequent enough work as a scribe to make his living (though his skill is needed in the village), and there are no other bureaucratic positions to fill, so he necessarily has to go to work as some sort of artisan to make ends meet. Today there are highly educated people who struggle to find work in their field and end up in jobs (even blue-collar jobs) they are considered over qualified for. Although perhaps a less common problem anciently, I have a hard time imagining this was never the case in antiquity. 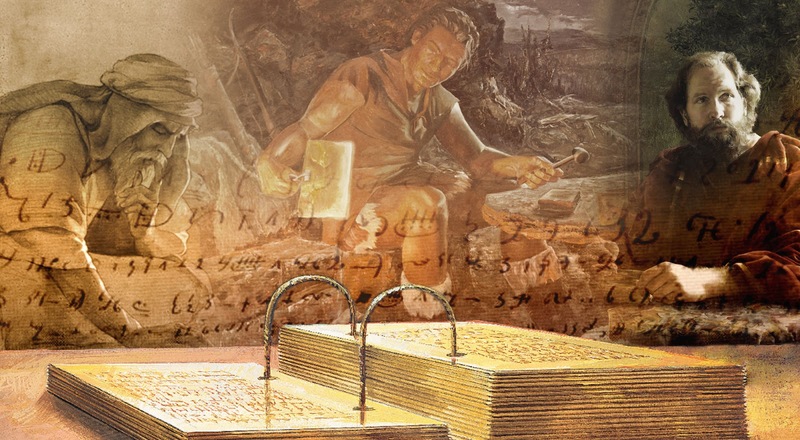 I think, given the above details, the picture in the Book of Mormon of Lehi and Nephi as reading and writing smelters becomes intriguing, to say the least. The evidence is surprisingly supportive of craftsmen with skills as both a scribe and a smelter. While having the level of proficiency that Nephi demonstrates in both writing and smelting would certainly be extraordinary, it clearly is not out of the question for someone of that time-period to have some skill in both. And there are people with extraordinary or unusual skills and talents in all ages, so I personally, at least, find the portrayal of Nephi entirely plausible. I imagine that Lehi’s ancestors in the tribe of Joseph were among the journeymen metalworkers of the second millennium BC who first begun to develop scribal practices in Israel using the Semitic alphabet. As the monarchy arose, some of them became full-time scribes working for the state while others continued on in the metalworking profession. Having a heritage as metalworkers and kin who still practiced the profession, they maintained a set of records on copper-alloyed plates. Upon the fall of the northern kingdom (ca. 722 BC), this clan (or kin-group) consisting of both metalworkers and scribes migrated south to Jerusalem. Lehi’s ancestors were, I presume, among the scribes, as were Laban’s. But as displaced workers, it may have been difficult to find employment. Some (Laban’s direct lineage) found work as scribes, and thus maintained possession of the records. But others (Lehi’s direct lineage) couldn’t find sufficient work as a scribe and thus had to pursue another profession. With metalworking a known ancestral profession—one that some (perhaps distant) kin still worked—it seemed an obvious choice. So Lehi’s great-grandfather might have gone to a distant relation to learn the metalworking trade. Since some reading and writing was necessary for doing business, artisans either learned some basic literacy skills or had to employ a scribe. Having an apprentice who was a trained scribe could thus be beneficial for a tradesmen, and Lehi’s great-grandfather could have formed a mutually beneficial relationship with a metalworking kinsmen: His kin teaches him the smelting trade, and he takes care of his kin’s scribal needs free of charge. Great-granddaddy might have continued to get part-time scribal work here and there, but had taken up metalworking as his main profession now, and that is what he passed on to his sons. But he also recognized the benefits that his scribal training gave him, so he still passed on as much of that as he could. This certainly would be more limited than a person with full-blown scribal training, but also more extensive than the “basic literacy” found among those tradesmen with reading and writing skills. This combination of skills would then be passed on to Lehi’s grandfather, then father, and then to Lehi himself. Lehi, then, passed this same duel set of skills onto his sons. But Lehi was concerned about splitting his business and clientele four ways, and sought a different profession for his youngest son, Nephi. Naturally, the with family heritage as scribes and (at least distant) kinsmen in the scribal profession, crossing back over to the scribal profession made a lot of sense. So Lehi trained Nephi in the scribal arts, to the extent that he knew them, and then sought a tutor (likely a kinsmen) to further train Nephi in the scribal arts. 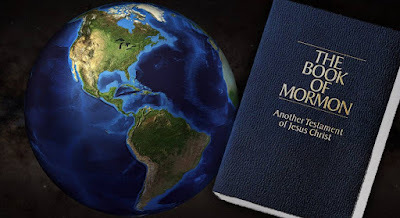 Given Nephi’s age when they left Jerusalem (I would place him at about 14, others would push that up to 16), Nephi probably didn’t complete his scribal training. But, remember that they brought someone else with them: Zoram. Laban’s lineage maintained the record on copper-alloyed plates, so his great-grandfather probably had found work as a scribe in Jerusalem. But Laban himself appears to have wound up in a more bureaucratic position, so instead of keeping the records himself, he employs a scribe—Zoram—to maintain his records repository. During the 8 years in the wilderness and perhaps sometime after arriving in the promised land, Nephi could have sought continued scribal training from Zoram, his “true friend,” in Lehi’s words. I will fully admit that this is entirely speculation, filled with “maybes,” “perhapses” and “likelys.” Others much smarter than I am can probably imagine more creative (and more plausible) scenarios. The main point, however, is that Nephi’s combined skill sets as a scribe and smelter are surprisingly well supported by the evidence from antiquity. Only the fact that Nephi appears highly proficient in both trades remains out of the ordinary, but certainly not out of the question. ĝešle (form of le'um) [ĝeš is not pronounced in Sumerian but indicates “wood”] so pronounced word is "le"
I look forward to seeing your paper when it is available! I have read Brant's paper, but it's been a few years. I don't think it addresses the questions I have in mind, but yes, it is a very good paper and part of what got me started on this quest.